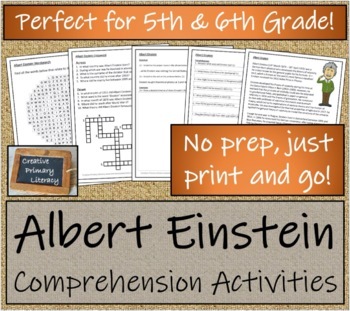 Two great activities that would span 5 lessons on famous scientist, Albert Einstein. Firstly, there is a close reading activity - children need to read through an informational text, and then answer comprehension and grammar questions, before completing an extension activity. 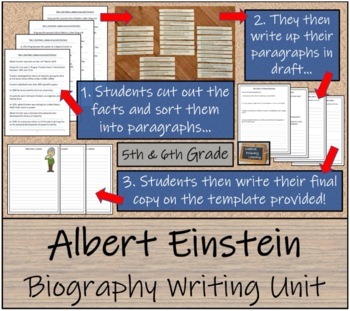 Secondly, there is a biography writing unit. The unit has been split into four separate lessons which will take students approximately 40-50 minutes each. 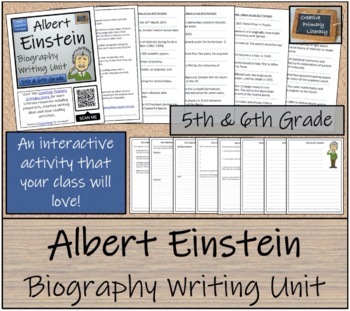 Ideal for students learning about famous artists or the history of art. Good luck, I hope you get some great results! If you would like an example of the close reading activity this please look at my example Macbeth Activity 5th & 6th Grade Close Reading Activity. Also, if you liked the activity why not look at one of our Reading Comprehension Activity Books. 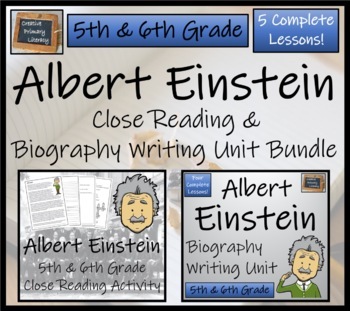 And, our Influential US Presidents Collection - 5th & 6th Grade Close Reading Book contains four activities, al for just $3.00.